Princeton Board of Education meets tonight (9.4.18*) to consider whether to place a $130 million bond before voters for a November referendum. The $130 million is intended to expand local schools to provide capacity for anticipated growth in student numbers. But the decision is being taken as another – potentially far more dramatic – process is being played out. 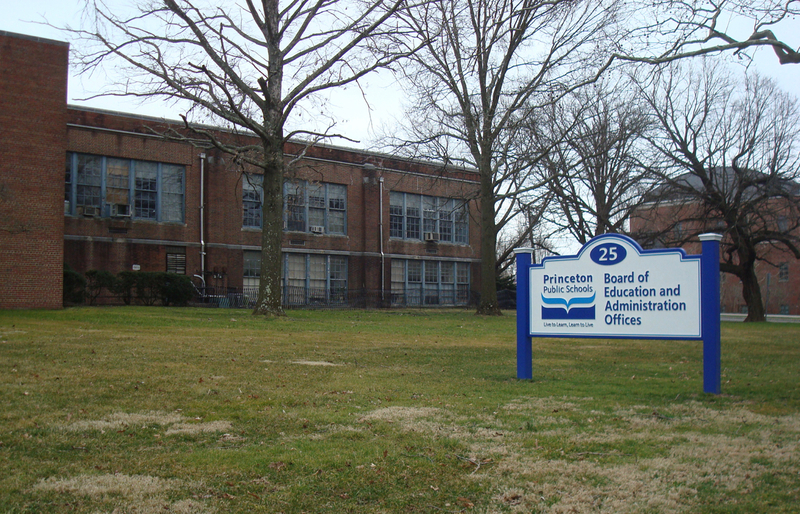 And that process might make the proposed expansion of Princeton schools unnecessary, even before it is completed. In particular, the plaintiffs in the Latino Action Network vs State of New Jersey court case suggest that a new program of ‘magnet schools‘ might be sufficient to overcome the segregationist effect of local school districts. Under this potential program, students from an entire region, such as Mercer County, would be eligible to attend a high-quality, high-attainment school in a central location. In theory this would mean that the best students from Princeton, the best students from West Windsor, and the best students from Trenton might all attend one centrally-located ‘magnet school’. If such a proposal came to pass, it would reduce the enrollment at a number of suburban high schools, potentially including Princeton High School, as parents sought elite educational opportunities elsewhere. Another possible solution to desegregating New Jersey schools would be to eliminate current public school district boundaries. In practice, this might mean that instead of having a ‘Princeton’ public school district, we might have a ‘Mercer County’ public school district, in which students could enroll at any of the county’s high schools. Or, alternatively, a ‘Princeton-area’ school district, which might be formed through amalgamation of the Princeton school district with those from towns like Ewing, Lawrence, Plainsboro, and South Brunswick. By welcoming students from a wider range of towns, an amalgamated school district would be more likely to be ethnically and socioeconomically representative, therefore meeting the demands of the Latino Action Network vs State of New Jersey court case. If either of these solutions were to be implemented, the current plan to expand Princeton High School might come to be seen as very badly timed. The town has no way of knowing what the outcome of the current Latino Action Network vs State of New Jersey case will be, although it is likely that in 12 months time, we will know a great deal more. It is hard to understate how impactful the current court case might be. The ambitious and laudable goal of desegregating New Jersey’s public school districts could be as significant for the local school system as the ‘Princeton Plan’ of 1948. The consolidation of previously-segregated schools at that time was very controversial, and any attempt by the state to try something similar today is also likely to be controversial. The big risk is that Princeton may be planning for a school system that will no longer exist in two years time. For more information about the New Jersey School Segregation lawsuit, check out this great report from Colleen O’Dea at ‘New Jersey Spotlight’. * Update 9.4.18 (5.00 p.m.) – the School Board announced today that the vote on the school bond referendum would be dropped from tonight’s agenda, because the district has not been able to get necessary approvals from the State. This entry was posted in planning, Princeton, Zoning and tagged civil rights, desegregation, integration, magnet schools, minority rights, Princeton, school choice, schools. Bookmark the permalink. The DOE approves the referendum/a, so if major changes were made at the state or county level that affect PPS, I think the DOE (which has thus far proven to be a less draconian one than under Christie) and the Mercer County Superintendent of Schools would take local developments that they approved into account in planning/implementation. The DOE sanctions the PPS-Cranbury agreement, and almost every other decision affecting facilities, enrollment, and other significant drivers of PPS operations and processes — those constantly pointing to PPS Admin and BOE as independent (and of late, antagonistic) stewards of our public schools need to remember that they answer to higher authorities in almost everything they administrate/govern. I can imagine how I would feel, paying tens of thousands of dollars in property taxes, to have my kids bused from Montgomery Township to Franklin Township schools.